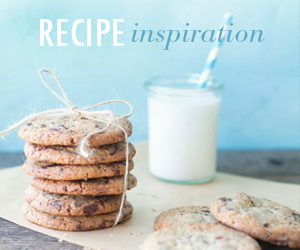 As foodies ourselves, we can really get on board with an edible gift. 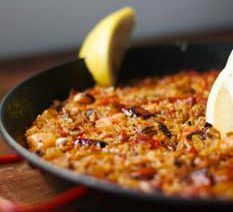 We love trying whatever is new and exciting and are always on the lookout for something delicious. 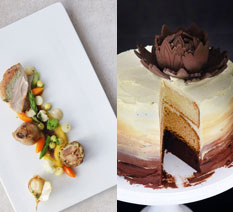 Browse through our list of Christmas gift ideas for foodies and you’re bound to find something for the gastronome in your life. 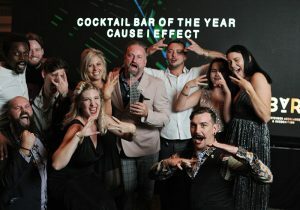 Whether they’re into craft drinks, gourmet snacking, entertaining or just enjoying great quality products, there’ll be something on this list that will be ideal. 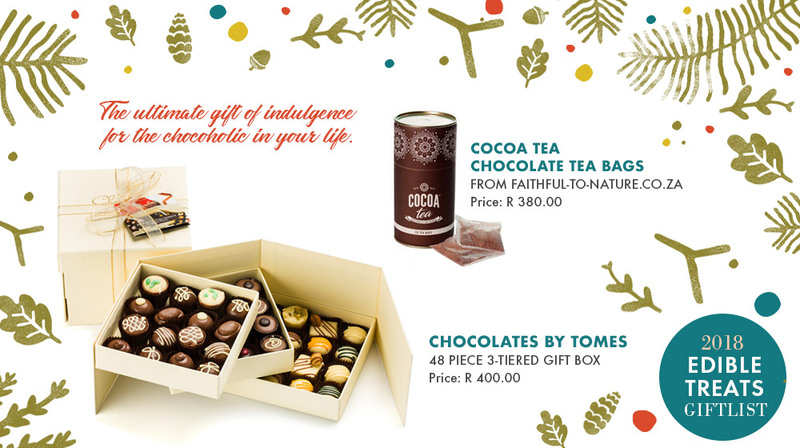 Chocolates by Tomes offers a wide variety of chocolate gifts to suit any budget. Their premium hand-crafted chocolate is made using ingredients sourced solely from the African continent, refined and conched to a silky smooth deliciousness, bringing you a true taste of all that is good in Africa. Their 48-piece is a decadent selection of their finest artisanal chocolates, housed in a gorgeous three-tiered box. Each drawer opens to reveal a tempting layer of irresistible, scrumptious yumminess. Gift the chocolate lover in your life with the ultimate choccy indulgence – a box of Chocolates by Tomes and these choc tea bags. 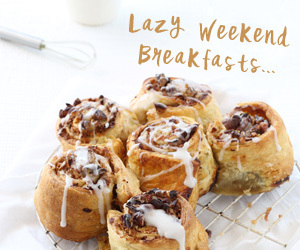 They’re made from cocoa husk and impart a wonderfully smooth chocolaty flavour when steeped. Make sure your gift card includes a suggestion to find a sunny spot and a good book to enjoy along with this combo. Introducing handcrafted, world-class beers that will soon have people forgetting that Franschhoek originally became famous for its wines. Local celebrity chef Reuben Riffel and businessmen, Alex MacCormack and Frank Rodrigues, partner with award-winning German brewmaster, Olaf Morgenroth, to produce a top quality range of brews that are raking in the awards, as well as the fans! 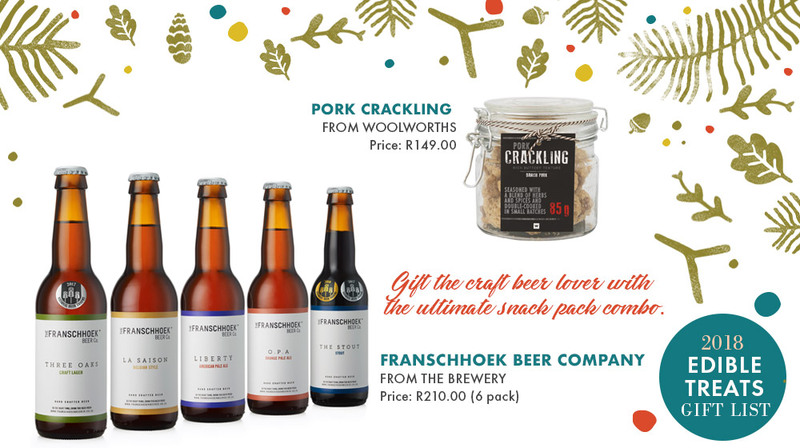 Enjoy from selected retailers nationally or try one of the limited editions at the stunning brewery under century-old oaks outside the Franschhoek village. Sitting down with an ice cold beer and a jar of crispy pork crackling sounds like a great way to spend a holiday day. 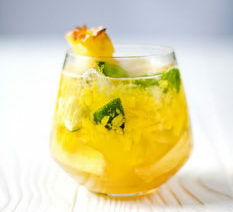 Throw in a sandy beach and sea view and you have all the makings of summer perfection. Extracted from a single varietal, pure Frantoio essence has been trapped within this golden delicious olive oil. Savour layers of creaminess, notes of green grass, almonds, wildflowers and green apple. 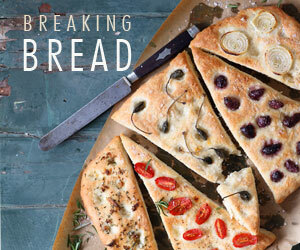 Best enjoy drizzled over seasonal salads or soaked up by chunks of fresh bread. 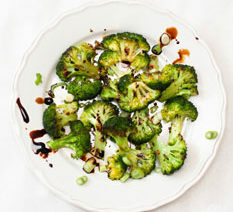 There’s no better accompaniment to a stunning olive oil than an equally divine balsamic vinegar. Gift both with a loaf of freshly baked artisanal bread for a really thoughtful gift for the foodie that appreciates the finer things in life. If you’re looking for a stylish gift that’s so pretty it doesn’t even need to be wrapped, then look no further than Wedgewood’s new hexagonal gift-boxed speciality nougats. Available in four unique flavours – Dark Chocolate Coated Mint Nougat, Milk Chocolate Coated Hazelnut Nougat, Almond Nougat or a mixed box of Dark Chocolate Covered Mint, Cranberry and Orange Nougat. Pop under the Christmas tree as is for a lucky recipient or take as a gift for your holiday host or hostess. Price: R400.00 for a box of 8 (R50 per box) Available online only from Wedgewood. 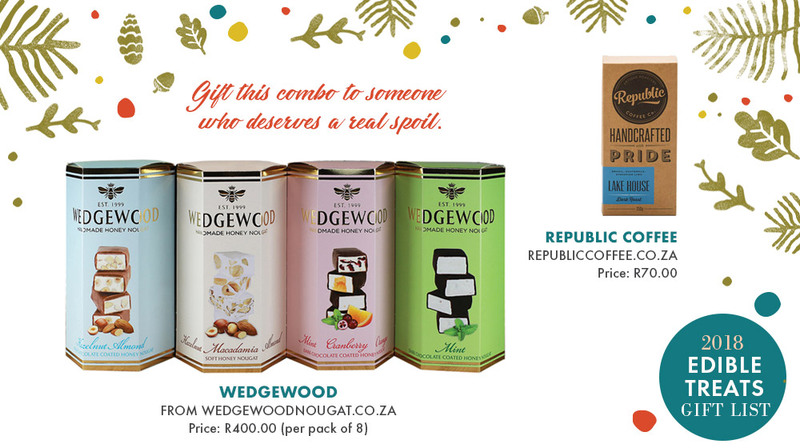 We love the gift idea of coffee and nougat, who wouldn’t want to sit down and relax with both of those? The Lakehouse Blend from Republic Coffee is a dark roast and is a combination of Brazilian, Guatemalan and Ethiopian Limu beans. This medium-fruity, extra virgin olive oil is made from the finest olives grown on the farm. A herby nose of green grass and rocket are followed by flavours of toasted nuts and Fuji apple, with a full and silky mouthfeel. Diemersfontein Extra Virgin Olive Oil is packaged in an i-tube pack, to ensure you get the best flavour and freshness that their EVOO offers. The oxygen barrier twist tap bag has great barrier properties keeping the oil away from harmful oxygen and light. The twist tap ensures that the oil pours out effortlessly with little oxygen and air contact. All these benefits allow their Extra Virgin Olive Oil to be presented to you as fresh as the day it was pressed. 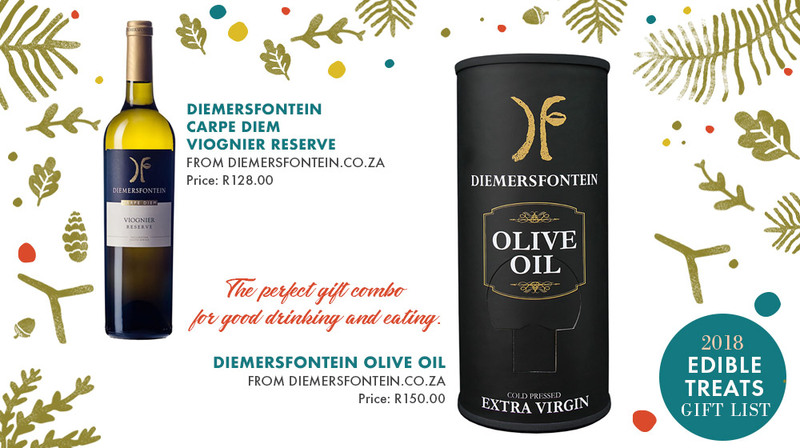 Make it a delightful duo and pair your Diemersfontein Extra Virgin Olive Oil with a bottle of their Carpe Diem Viognier Reserve. Imagine sunny summer days under the pergola dunking fresh bread into your olive oil and sipping on a glass of chilled white. Bliss. 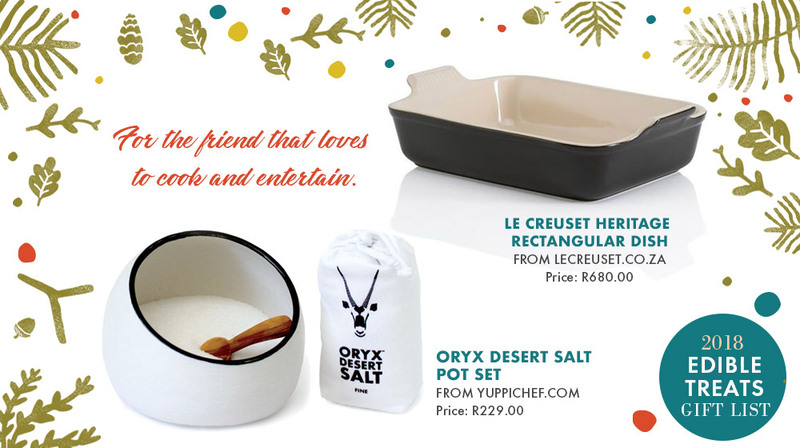 This salt pot set is a locally made gift with a great story. The salt holders are handmade at Macassar Pottery. The pottery studio is a self-sustaining social enterprise and is a safe space for the community, youths in particular, to discover and follow their dreams. Each Salt Pot contains a mini-bag of fine salt, sewn by a home industry project in Ndabeni village. The founding seamstress Thaakira Essau has grown her team to seven women in order to cope with the demands for Oryx Desert Salt bags! Also included is a spoon made from wild olive wood by rural artisan carvers in Kenya. 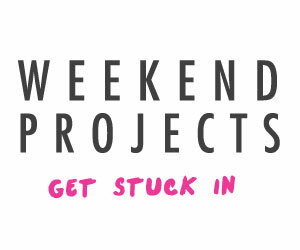 A great idea for someone who appreciates a thoughtful, crafted gift. As foodies, when we think salt, we think crispy pork belly roast… yum! Make the perfect roast in this Humble and Mash Rectangular Baker that can go from the oven, straight to serving at the table. 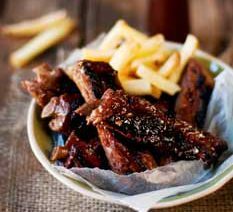 Remember to dry out your pork belly skin and rub generously with Oryx Desert Salt to ensure crispy, golden crackling heaven! 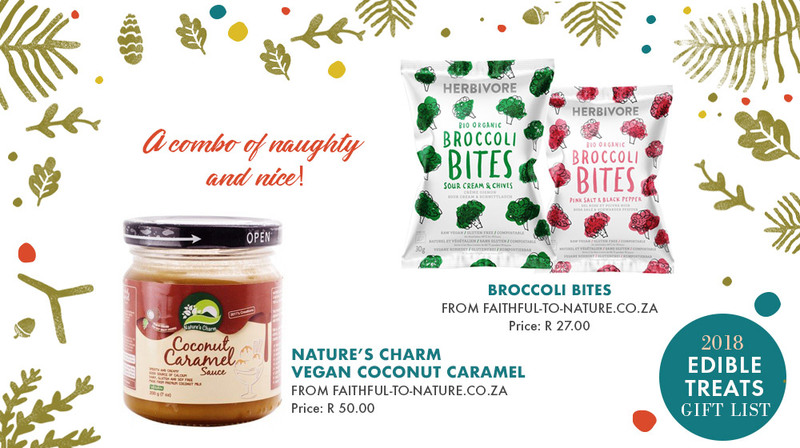 Veganism is on the rise and that probably means you’ll be looking for a gift for the vegan friend in your life. 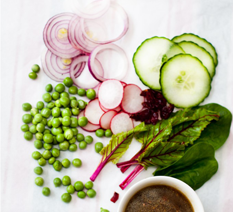 We love this delish Nature’s Charm Vegan Caramel, a cruelty-free sauce perfect for baking, drizzling over dairy-free ice cream or even popping in a morning protein smoothie. 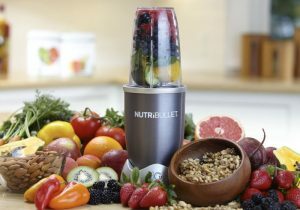 We’ve paired up this gift idea with something a little healthier to balance things out. These organic vegan Broccoli Bites are ideal for holiday vegan snacking. 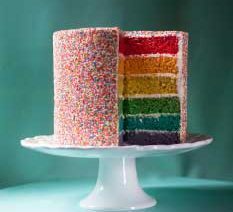 We’ve finally found the perfect gift for your mom-in-law – this razor-edged rainbow pasta. Don’t worry, it’ll soften when cooked and won’t cause any injury! You might even find her softening towards you when she gets a look at its pretty colours. Handmade in Italy using natural vegetable colourings. 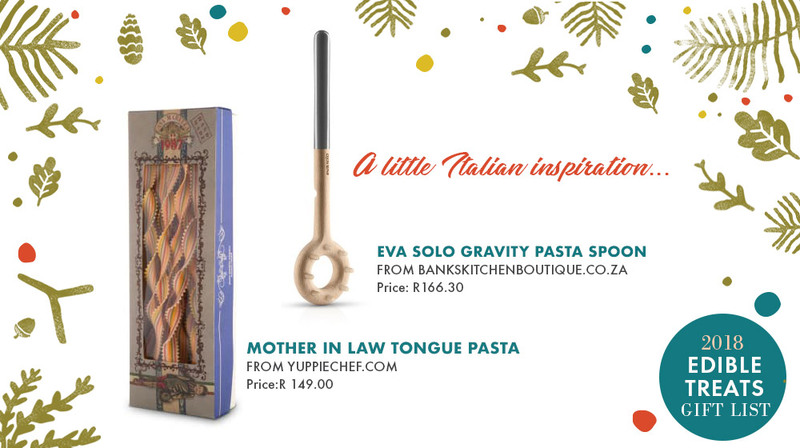 Gift your rainbow pasta with this snazzy pasta spoon, complete with side groove to rest or hang on your pot while cooking. 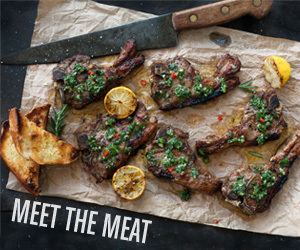 Cape Town-based food stylist, Katelyn Williams (aka The Kate Tin) has just released her first cookbook and the cover is positively drool-worthy. 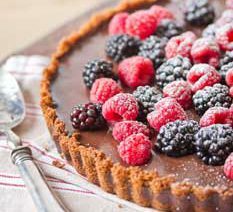 Chock full (‘scuse the pun) of decadent choc recipes that will have you baking all through the holidays. Be sure to balance out with regular visits to the gym. 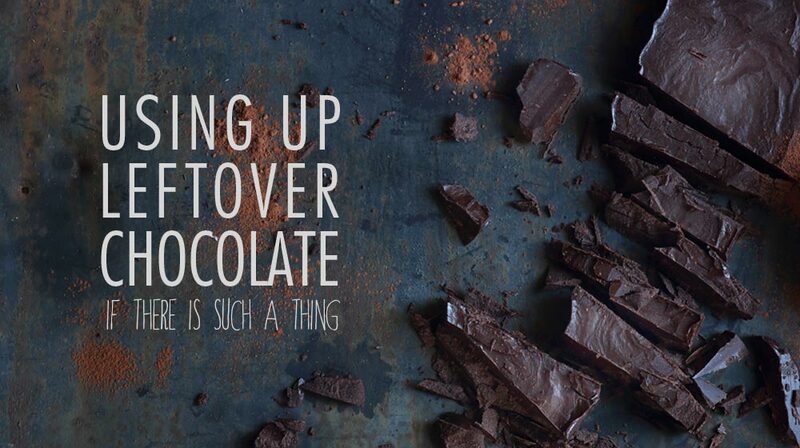 If you’re gifting the ultimate choc lover with a cookbook full of chocolatey ideas, then best you give top-notch ingredients too. 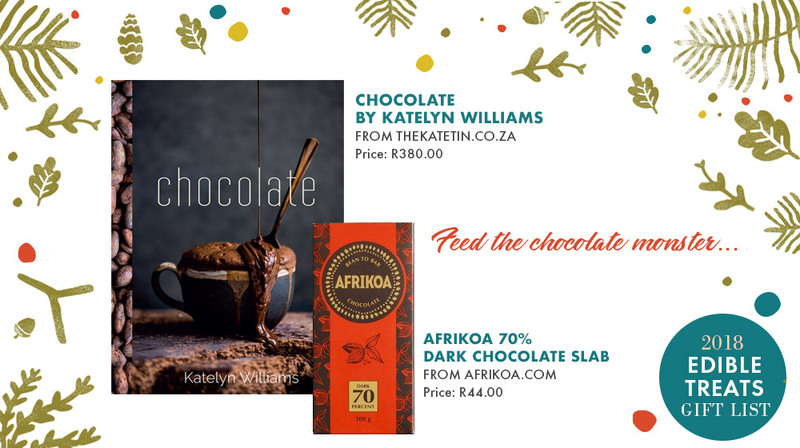 This Afrikoa 70% chocolate bar is perfect for nibbling, as well as baking – if your giftee has the willpower to keep it ’til then. Celia’s Farm in Ceres sources their badger-friendly honey from Langebaan. 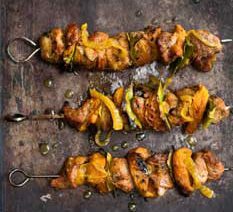 To this, they add chopped Turkish figs, Elberta peaches, pecans, and almonds to make this delish gift idea. 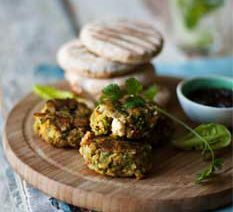 As the name suggests, it’s best drizzled on anything from breakfast porridge to flapjacks, and even as a topping on a camembert to add lovely texture and sweetness! 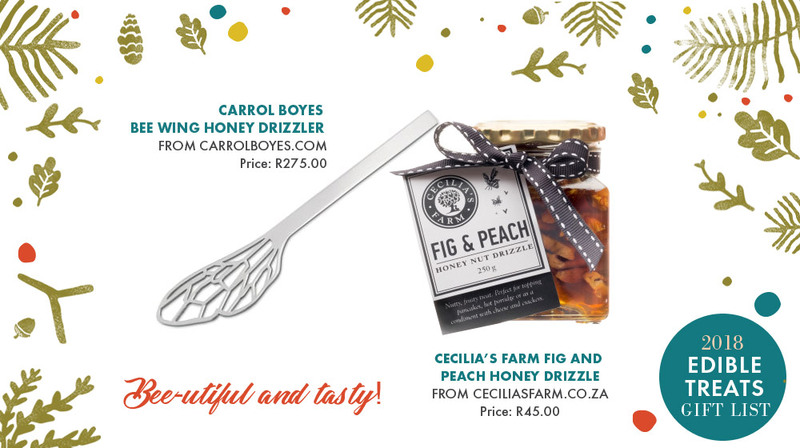 Serve your honey in style with this intricate bee wing drizzler from Carrol Boyes. Divine on your brekkie table when you serve that late morning holiday brunch. 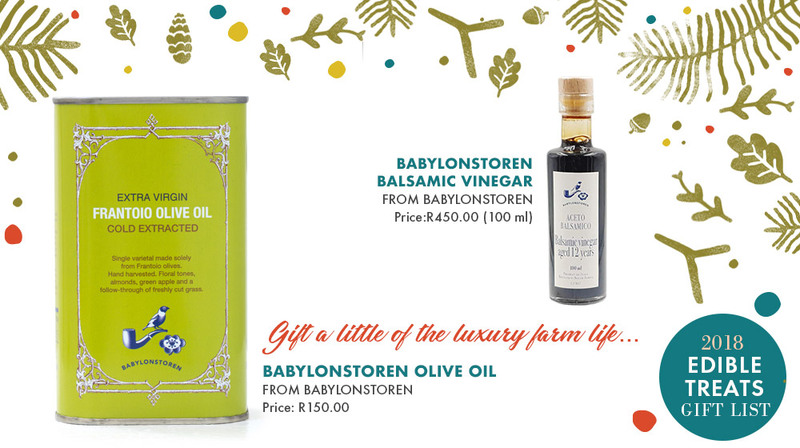 For more gifting ideas see our Wine & Bubbly Gift List and our Olive Oil Gift List. Great list! Where do they sell the Karoo Dust?